The U.S. is pressing Israel to implement a deal is has signed several years ago with Jordan for building the Red-Dead joint project — a pipeline that connects the Red Sea and the Dead Sea, Israeli and U.S. officials tell me. Why it matters: The project, which is set to be built in Jordanian territory, is the biggest and most strategically important infrastructure project in Jordan to date and is one of the main areas of cooperation between Israel and Jordan. The projects includes water desalinization, energy and tourism facilities. Two key goals are to save the Dead Sea, which is gradually shrinking, and cement the Israeli-Jordanian relationship for generations to come. The U.S. is a central partner in the project and is also supposed to provide $100 million in funding. The agreement between Israel and Jordan was already signed several years ago, but last summer Israel froze the project in an attempt to use it as leverage to get the Jordanians to reopen the Israeli embassy in Amman. When the embassy crisis ended several months ago the Jordanians expected Israel to unfreeze it, but the Israelis refused. In early June, Israeli Prime Minister Netanyahu's chief economic adviser, Avi Simhon, met in Amman with Jordan's minister of water. Simhon is staunchly against the project and thinks it value doesn’t warrant the financial investment of almost $150 million. Simhon presented to his Jordanian counterparts an alternative project called Med-Dead — a pipeline in Israeli territory to connect the Mediterranean Sea and the Dead Sea. The Jordanians were shocked by the Israel flip-flop after years of joint efforts on the project, and rejected Simhon's proposal outright. Senior Jordanian officials called White House officials and raised their concerns that Israel appeared to be trying to pull out of the project, requesting U.S. intervention. Weeks earlier, in mid-June, Netanyahu arrived in Amman for his first public meeting with King Abdullah since 2014. Netanyahu raised in the meeting again Israel's Med-Dead proposal but did not present it as an alternative to the original project. The Jordanian king rejected the proposal and told Netanyahu he will not discuss a new project before the old one is implemented. "I want an answer in 60-90 says. If you want to pull out of the project we will implement it on our own". The Trump administration joined the Jordanian pressure on Israel. U.S. ambassador to Jerusalem David Friedman, White House Special Envoy Jason Greenblatt and Senior Adviser Jared Kushner raised the issue with their Israeli counterparts. 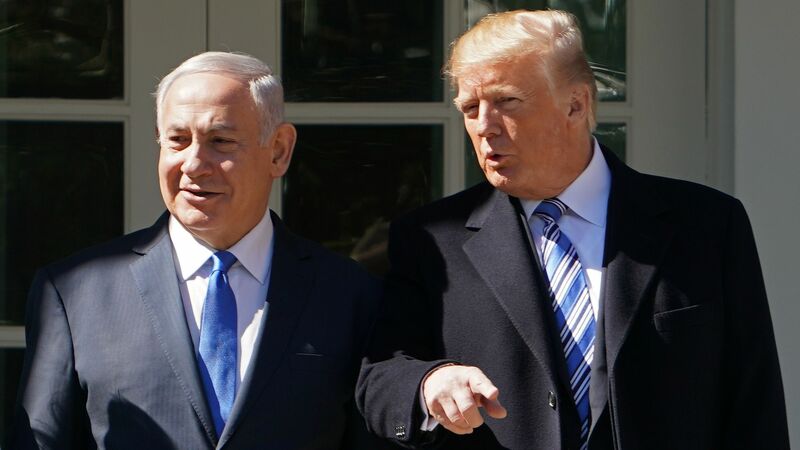 A national security council spokesman told me: "The United States told Israel that the U.S. supports the project and expects Israel to live up to its obligations under the Red-Dead agreement or find a suitable alternative that is acceptable to Israel and Jordan." What's next: Netanyahu still hasn't made a decision on the project, which has both political and economic implications for Israel. A senior cabinet minister told me Netanyahu doesn’t like the project economically but understands he needs it diplomatically. A senior Israeli official said Netanyahu is expected to make his decision within weeks, and added it will likely be a positive decision.